Chiropractors are in the holistic practice of medicine. They may vary in their philosophies and techniques, but something that ties them together is the holistic way of treating patients. Chiropractic treatment believes in treating the cause of the pain and not just the pain itself. Yes, we would like to make the symptoms manageable, but if we don’t address what’s causing it, you’re going to end up in an endless cycle of pain and medication, with no way out. Imagine if you were to find out the cause of your pain. Armed with that knowledge, you can avoid a recurrence or prevent worsening of your condition. That is the chiropractic way of treating. To find the best chiropractor for you, you can interview over the phone. Feel free to ask questions regarding the practitioner’s philosophy, expertise, style, and approach. There are heavy-handed chiropractic specialists, and there are light-handed ones. You might have to visit their clinic just to see for yourself which you prefer. If you want to know what to expect on your first visit to the chiropractic clinic, this is what’s going to happen. You will fill out forms to provide background information, as well as your symptoms and conditions. is the pain recurrent or constant? Next, you are going to go through several tests such as tests to measure blood pressure, pulse, and respiration. Neurological tests will also check for neurological integrity. The initial exam will also assess your posture, check for the range of motion and reflexes and perform orthopedic tests. If required, the chiropractic specialist will perform manipulation of the affected body part. From the results of the initial exam and the information you provided, the therapist will be able to give you a diagnosis. 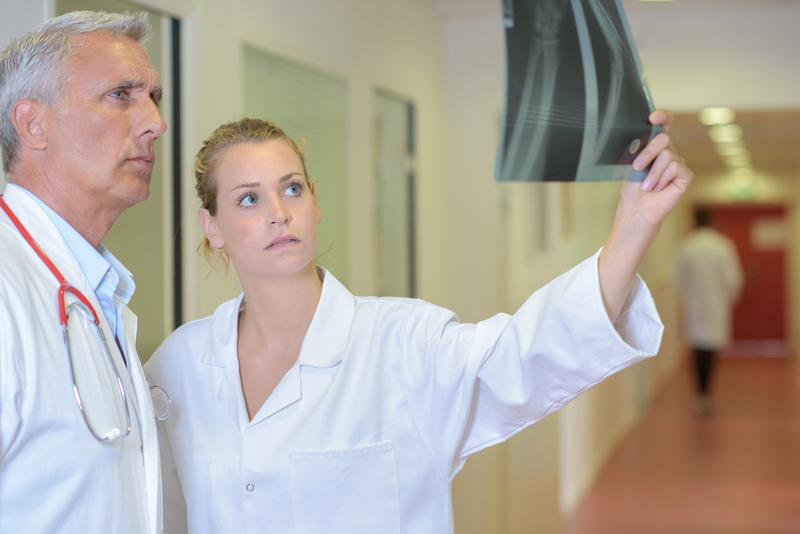 If the chiropractor has good reason to believe that further diagnostics testing will provide a clearer picture of what’s causing your pain, you will undergo an X-ray exam or an MRI scan or other lab tests. It is your chiropractor’s job to reveal pathologies and identify structural abnormalities to you. Will You Benefit From Chiropractic Treatment? Once the chiropractor establishes a diagnosis, he or she will determine if your condition will respond to chiropractic treatment. By the end of your visit, your chiropractor will reveal to you your condition, an individualized chiropractic treatment plan that suits you best, and the duration of the treatment. Chiropractic specialists not only offer spinal manipulation methods, but they also use a variety of techniques and can fine tune each to ensure your condition benefits from it best. If you suffer from back injuries or have herniated discs, bulging discs, spinal stenosis, or sciatica, you’ll benefit from spinal decompression therapy. Using a computerized decompression table, the therapist can help decrease the pressure in your problem areas. It improves blood and oxygen flow and sends nutrients to those areas to promote faster healing. This machine and method is safe and approved by the FDA. One of the latest tools chiropractic therapists now use. It works best on sprains, soft tissue injuries, arthritis, carpal tunnel syndrome, neuropathy, tendonitis, chronic pain, and more. Particles of energy are carried in a laser and absorbed by the cell membrane’s photoreceptors. The cells convert this light energy into biochemical energy. It encourages cells to repair themselves and decrease swelling, reduce pain and inflammation. Ultrasound therapy uses sound waves to create deep heat therapy that is applied to the soft tissues and joints, basically massaging your soft tissues and joints. Not only does this help reduce back pain, muscle stiffness but increase blood flow and accelerate the healing process. This shortwave, electromagnetic therapy provides heat to the denser tissues, providing a warm and pleasant feeling. Effective in relaxing the muscles and connective tissues, decreasing muscle spasms, and accelerating the healing process by improving circulation. Treatment using water via hot baths, whirlpools, saunas or wraps. Hydrotherapy focuses on your body’s reaction to hot and cold stimuli. In chiropractic treatment, cold water is used to numb the pain, and hot water is to promote blood flow and speed up healing. 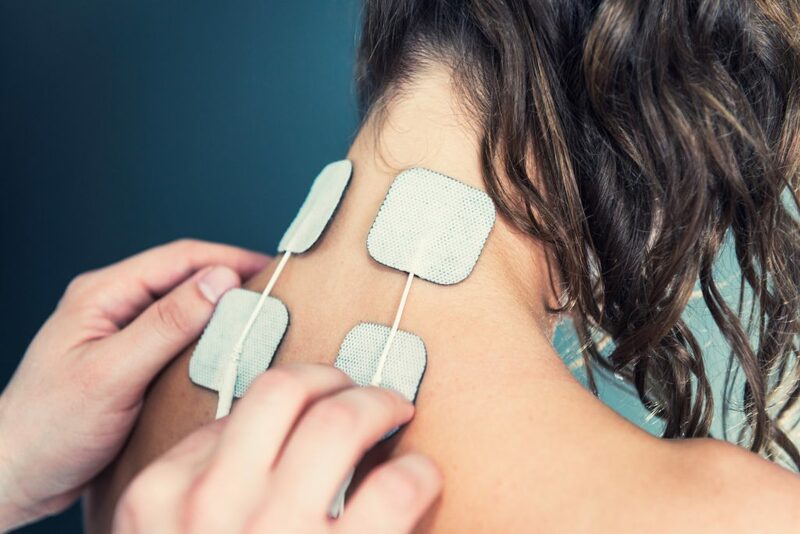 Therapists place electrodes on your skin to send light electrical pulses to different areas of your body to reduce inflammation and relieve pain. TENS use electrodes and place them over the affected area and allows you to control the intensity of electrical stimulation to it. TENS block the transmission of pain signals while releasing endorphins — your body’s natural painkillers. A chiropractic traction massage makes use of rollers and moves them about your back, stretching and massaging your muscles. Learning ergonomics is vital to avoiding recurrence of pain. Your therapist will recommend that you made modifications to your bed, your workstation, and your car. More often than not, pain is due to bad posture and learned habits that are wrong. If you are deficient in leg length or you have flat-feet or subtalar instability, your therapist will prescribe heel lifts or arch supports to help stabilize your pelvis. Lastly, your chiropractor will advise lifestyle modifications regarding diet, self-care, or coping strategies to help avoid a resurgence of pain. If your chiropractor thinks your condition will benefit from chiropractic treatment, he or she can create an individualized approach to your situation. Chiropractic professionals understand that no two cases are alike and will not issue a generalized treatment plan for you. One of the things that set chiropractic treatment apart from the conventional treatment you will get at the hospital: if we can avoid giving you medication, trust that we will.